Long and short passing practice. 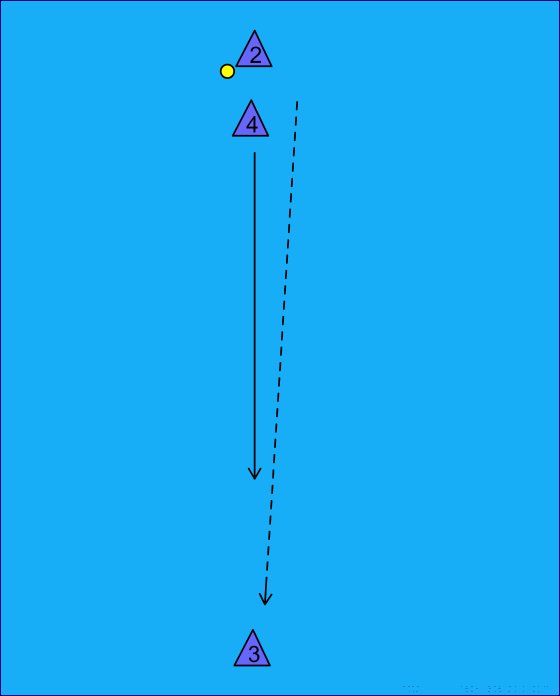 Depending on the passingskills you can lengthen or shorten the distance. Or add the number off passes while the middleman is swimming. 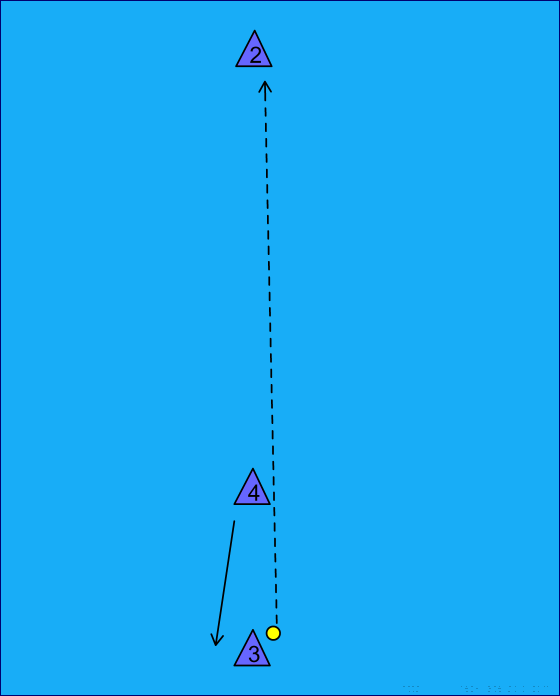 4 passes back to 3. 4 takes the place of 3. 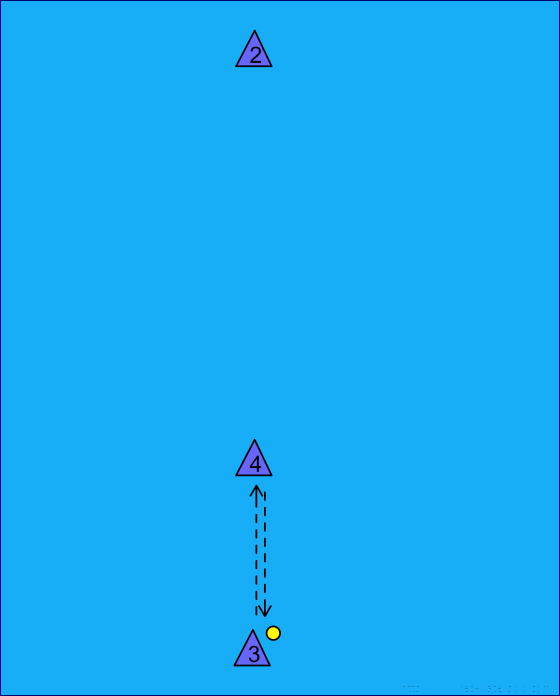 3 passes to 2 and start swimming towards 2. 2 passes to 4 and 4 passes back to 2.